The Sd.Kfz. 250 was a light armoured halftrack, very similar in appearance to the larger Hanomag-designed Sd.Kfz. 251, and built by the DEMAG firm, for use by Nazi Germany in World War II. There were a dozen official variations on this chassis. The Sd.Kfz. 250/10 leichter Schützenpanzerwagen (3.7 cm PaK) was a reconnaissance platoon leader's variant with 3.7 cm PaK 35/36. This was the same antitank gun used in a towed mode early in the war. It was normally without protection shield, if any it was a small one. 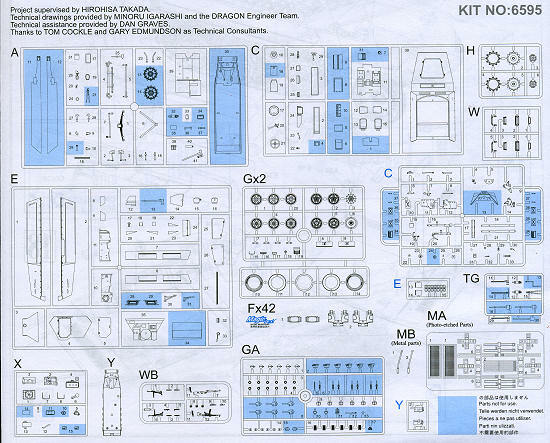 The instructions consist of 25 well drawn construction steps with any modifications and color information printed in each step. Gunze and Model Master paint references are provided. 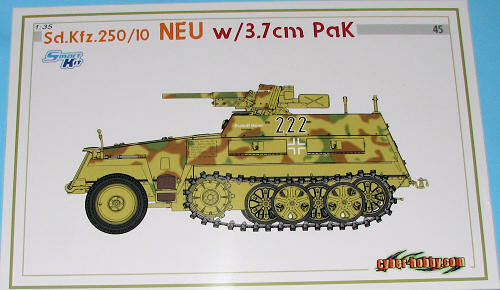 Markings are for one vehicle from an unknown unit on the Western Front in 1944 as shown on the box art. Included are a variety of numbers for the license plates as well as the hull numbers in both red and black. This makes another very interesting variant that is one production run only, so if you want it, you need to grab it soon.